Lusaka, Zambia, 09th December 2015 – Addressing a meeting in Chingola a few weeks ago, UPND leader Mr. Hakainde Hichilema was categorical in telling Zambians on the Copperbelt that if elected to Office, he would bring back Anglo American to take over KCM and create Jobs. While Mr. Hichilema is still rejoicing that 4000 miners lost their jobs on the Copperbelt, we want to remind him that his prescribed remedy, Anglo American shares have fallen to a record low as the company said it would sell huge chunks of its business and shrink its workforce by nearly two-thirds. We wish to inform Mr. Hichilema that his prescribed remedy Anglo American will effect changes will see the workforce drop by 85,000, from 135,000 to 50,000. The group has been forced to restructure after the collapse of commodity prices slashed profits. Anglo will also suspend dividend payments for a year, and consolidate from six to three businesses. Zambians must disappointed that while Mr. Hichilema sought to score cheaply from Glencore’s shedding of 4000 jobs, he has been promising people on the Copperbelt jobs through Anglo American which is shedding 85,000 jobs. We challenge Mr. Hichilema’s hypocrisy to contrast these figures with the 4000 jobs lost on the Copperbelt Province. We are also demanding for Mr. Hichilema to apologize to the miners on the Copperbelt for insulting them that they were born miners and all they have done is mining and as such PF’s diversification option would not work. This is definitely skewed reasoning on the part of Mr. Hichilema because he himself was born in a cattle-rearing family but did anyone stop him from studying economics? Apparently, Mr. Hichilema believes Zambians are so gullible and have suffered collective amnesia to forget Anglo American history with the Copperbelt Province. When Glencore shed off 4000 Jobs on the Copperbelt, there was jubilation in UPND as they assumed the miners would easily get swayed by being promised to be taken back to the period Anglo American pulled out of Zambia during the reign of late President Levy Mwanawasa. Zambians recall how the privatization exercise earlier in the years and Anglo American’s decision to pull out condemned Copperbelt to a Ghost City. Yet Zambians know that Mr. Hichilema remains one of the key beneficiaries of Zambia’s privatization exercise to the extent that he cannot tell Zambian miners how much he was paid for valuing their assets. Zambians cannot trust Mr. Hichilema’s judgement on key national matters. He has never told Zambians how much he was paid for the services he rendered to the privatization exercise which impoverished thousands of Zambians on the Copperbelt thereby crippling the Copperbelt Province. Mr. Hichilema as a Capitalist, is a defender of capital who speaks for capital. He has never defended the interests of the miners, not even during the privatization of the mines. His record clearly shows that he has and will continue to defend Capital interests as priority to those of the workers. What do they smoke in PF? They all have the same reasoning levels. What now HH? What’s plan B? They come from tribe grouping where lying and stealing is a normal thing. So PF reasoning is that since Anglo is shedding jobs in other countries, they cannot come and invest in Zambia with a favourable environment here to be created by UPND government. Anglo will come once positive and stable business environment is established in Zambia. This is an opportunity to advertise Zambia so that those jobs lost in other countries can be created in Zambia and then Zambians benefit. This is what HH has been talking about. For ba PF with their CNP mentality, their only solution is “massive infrastructure” kaloba. Zambians are very easy to cheat. What is the breakdown of these 85,000 jobs country by country and which of these countries is most affected? 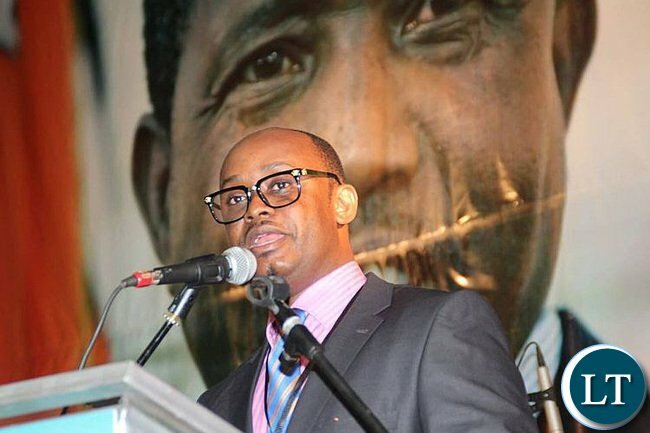 Mr. Sunday Chanda is playing on the simple minds of Zambians who cant read between the lines and understand issues. This Anglo American Corporation Plc is a huge investment operating in over 30 countries worldwide. No sane person in their right frame of mind can therefore compare the 85,000 jobs lost worldwide to the so called 4,000 jobs lost on the copperbelt in Zambia. If the company is shedding jobs equally in each of the countries it operates, it amounts to about 2,500 jobs lost per country. Compare this to the over 7,000 jobs lost so far on the copperbelt. PF cadres wake up! Ba @MeToo, speaking for Anglo ka, as if you are even remotely connected. If the reasoning for the so called PF is shallow (CNP), I don’t know how I can classify yours. Check the reasons Anglo is shedding off employees and then come back on these boards, *****! What happened to PF’s 90 day theory? This time people can not even afford a loaf of bread and you have the audacity to come here and offload your nonsense. Ba Sunday Chanda, namukolwa ebange? Finshi mulebwatuka-bwatuka can’t u jst zip your beak up if u don’t have issues? That’s cheap politics ba mudaala. Lelolelo! …………………its global. Pf the global genius team. They can even eat rubbish as long as it is global. Iwe chi chanda leave HH alone and tell the nation how your team will stabilize the economy and reduce on imprudent borrowing instead of wasting your Time to talk about HH’s ideas. Bring forth your global ideas to assure Zambia how the boat will come back to the road since it careered off in 2011. @Safi, Think, research, or find out the facts before you write. Your comparison of the two situations does not make sense. Let us go by your reasoning: How many miners does Anglo American have in South Africa? About 120,000. This means about 35,000 still have jobs. How many miners are employed on the Copperbelt? Most likely less than 7000. How many are still in employment after 4000 are now jobless? This spell doom for a province (and a country) whose mainstay is mining. Zambia is stuck with those all those jobless miners whereas a good number of the Anglo American miners are from other countries such as Mozambique, Lesotho, etc. We never heard of 90 DAYS from HH! Give an example of a lie which HH promised the Zambian Pipo and failed to Full fill. If you want i can give you a long list of PF lies since they came into power. It is a fact that HH has no sense of timing – Kwamana!! Whatever he touches appears to burn him. I guess he will hold another of his infamous Press Conference tomorrow. Where are his advisors please? Uli chikopo sana, what ever HH touches fails kwisa, is it HH who is in Statehouse? Why is Zambia Struggling na economy kumo has become humble, rains are nowhere, no power, essential commodities prices sky rocketing, kwacha is mad every day. Stop smoking weed. HH needs t sto rubbe rousing. Our current economic woes are shared worldwide. The only sharp game at this time was for him to prove to Zambians that he is a Patriot. That he is truely concerned about the effects international markets are having on our economy. He needed to work with the gov’t in comforting struggling and worried citizens in Zambia. Instead, he has continued to insinuate a mysterious capability in alleviating our woes. Every time he over shares his vision, we find its old news. HH needs to stop rubble rousing. Looks like my keyboard is feeling the cuts! Moscow OP you are a fool,so what that he graduated with a silent degree.Does Bill Gates.Mark Zuckerburg have a degree? ?does GBM have a degree….some of the most successful people in the world do not have degrees but right now you and i are using there products daily.Just say you dont like HH…but looking at the incumbent govt,we all can see that they’ve failed lamentably.vote for them at your own peril.yes i agree we don’t know how HH may perform if given an opportunity,but he definitely needs a chance.Change is always good. Bane whether Anglo offloaded millions of workers elsewhere or not, next year it is HH in state house, start to reconcile yourself with this fact and live with it. If HH graduated from UNZA then he has a degree from that institution. Don’t mind the class of his first degree the man has made it in life. Classes of degrees only count in academia. There are many people who have ‘good’ degrees but they are failures in life. Some of them are as poor as a church mouse. Do you blame HH for putting the money that he got through commissions to good use? Jealousy will kill you, Sir. Every true Zambian ( and that includes Upnd members) knows full well that Anglo- America, as per Algezeelra news, has already retrenched much more miners in SA than those retrenched by Glencore in Zambia. Surely, it is during times like these that our political leaders need to say the truth. Otherwise the lies they make will go against them. miners go into farming to see if you will succeed wait for profit for a year. its not easy. how many of you can draw money for one year without replacing it. thats what farming is. if you want to prove it try it. Research before you comment. Think outside the box. Just dont think of farming as maize growing or Soya. farming has the potential to turn around the economy of this country but first we need good government policies and the infrastructure available. Dont tell me that cabbage and Tomatoes take one year to grow. Chicken take six weeks to grow. We are always laughing at our neighbors Congo saying they dont grow any food, we should look at that as a ready market for our products. The problem with this country is we look for short term solutions. We need great thinkers in this country. What shallow reasoning from PF cadres. Anglo-American may shed jobs in certain business circles but still be able to create in another area/business/country. What does this shedding of jobs have to do with what HH wanted to rescue the ZAMBIAN mine? (KCM) Sunday Chanda and his kaponya supporters are always in a hurry to pick simplistic matters and use them to hit HH with. We should ask ourselves why HH is continuously on the PF rudder if he is deemed to be useless or of no consequence. “…What does this shedding of jobs have to do with what HH wanted to rescue the ZAMBIAN mine?…” You have really asked this question? Amazing!!! Truth, Icilema will pretty soon blame PF and Lungu for Anglo-American decision to retrench workers and downsizing! HH litolefye who doesn’t know him. He only gets support from his tribes men that’s why he thinks he is popular. Pf is Zambia for zambians by by zambians where can they go? Pf is here to stay and that should sink in your perforated brain. I agree with you because even UNIP “the party and its government” is still around alive and kicking even after losing elections in 1991. Therefore your prophecy is true PF will go join UNIP in the peripheral. I am currently in south africa as I am writting to you, its 23:15 to day, my cell is +27747384968 and have bought the newspaper if you want me to scan for you call me, wednesday,when in today’s Media the Star has published this story actually they have started terminating 85,000 jobs and no baby cry and the government of south africa is going to help those who would be retrenched to go in other fields especially farming and retraining in different artisanship;but they have welcomed the government measure and it;s not an insult. You are not telling the truth about the reason behind the weakening of the Rand. The value of the Rand has fallen partly because President Zuma has appointed a new Finance Minister who is hadly known in financial circles. It is the uncertainty about the new minister that has caused the Rand to lose more of its value not the job losses. This happens in all the major economies. THE South African economy is not like those of the banana republics north of the Limpopo river. It appears there is no opposition in Zambia at the same level as late Sata. Sata managed to dislodge the MMD despite there good economical records because he knew what was appealing to the people and campaigned using very simple language. Now the opposition, we have no message which is appealing to the people but are merely saying things are bad without giving alternative solutions to challenges which are mostly global in nature. As bad as the situation may appear, Zambian have no alternative government. I therefore see PF carry the day next year just like the case of Tanzanian election on a clean slate. What alternative policies did your SATA give to MMD other than campaigning on tribal lines.? Your call blatant lies of more money and lower taxes as policies. Then it explains why the country is where it is today. Don’t be laying the people of Zambia now because your lie s are catching you up because of your ignorance and arrogance and have no escape;especially you HH. Anglo are closing Mines which are making very low profits and retrenching more than 85000 and we in Zambia our miners are crying for nothing,get moving stop crying in Malawi there are no big mines like ours. Useless. Is it Anglo vs Chagwa? Don’t be laying the people of Zambia now because your lie s are catching you up because of your ignorance and arrogance and have no escape; especially you HH. Anglo are closing Mines which are making very low profits and retrenching more than 85000 and we in Zambia our miners are crying for nothing, get moving stop crying in Malawi there are no big mines like ours. HH you went to the copperbelt laying not to the well informed Miners, promising that you will bring Anglo and seemingly to be well connected and yet all are lies with your GBM punka kaponya. Garry Nkombo and Banda economics ya kubelenga efyo yaba. Stop your tribal hate speech you fly. Zambia si anyoko. Why do you want to take like Zambia is for you and your clones only. That is not politics and but war that you insinuating. Your levels of ignorance, backwardness and hatred is toxic for your children. You are the same baggers who hero worship foreigners and yet you despise your own countrymen. The only example Lungu can give is international travel and JAMESONI consumption! From KALOBA that poor Zambians will have to pay back! That is so cheap from a GRZ that only sees borrowing then stealing by over inflating prices of projects from its citizens as development. Cheap teenage girl politics from pipo who have run out of ideas of how to run the country seem to get their kaponya theive supporters excited. Instead of trying to engage the opposition in cheap political bickering, try fixing the problems we are facing. the opposition should mot even respond to this sillyness. Sunday Chanda’s official title should read as….’Chairman for PF publicity media for HH…..’…hardly a week passes by without publicising something about HH….some of us are more interested in publicising what PF has up the sleeve to tackle free falling Kwacha….budget deficit….power shortage….PF cadres looking down upon Zambia Police….depreciating poverty levels…Copperbelt shakeup as far as employment is concerned…general cleanliness of the environment…mushrooming of fake prophets taking advantage of our vulnerable women….the list is endless than all the time dwelling on HH this HH that…the so called HH is not in the driving seat yet…why the eyes and ears on him all the time…does he give you sleepless nights..??…. HH ever scoring own goals! Olympiakos 0 – Arsenal 3? South Africa is in moaning. I thought I was the only one who heard about this monster called Anglo! Lungu told him not to go and expose himself in CB. Ba Sunday, mwa mu bombelapo umwaice aumfwa. Ba police give him 10 permits. Harold Muna, it is your reasoning which is even shallower: you mean Anglo will come and invest in other areas which will create jobs at the pace our miners desires? Didn’t you listen to President EL outlining the alternative activities retrenched miners on the Copperbelt have to be involved in; that is, farming in resettlement areas, road construction? The problem you have is hatred which will take you take you no where. If God allows that HH becomes President, it will be so and anyone in the opposition will not be expected to be as hateful as you are. Opposition UPND leader Hakainde Hichilema is the only Zambian Speaker at the 2016 Mining Indaba to be held in South Africa. This is a very big event in the mining and investments circles. The main sponsors are Australian Government, Government of Canada, African Minerals, AngloAmerican, Rio Tinto and main others. We are yet to be told the Zambian government plans towards this event at a time Zambia is losing mining investors and jobs. It looks like Hichichema has been spoted by the business investors. Hichilema is a self-made businessman and entrepreneur. He says he is on a mission to reverse Zambia’s dwindling economic fortunes. graduating with a BA in Economics and Business Administration and later an MBA in Finance and Business Strategy. Hichilema quickly ascended to Zambia’s corporate world, landing such prestigious jobs as CEO of Coopers and Lybrand at the tender age of 32 years, from 1994 to 1998, and later Grant Thornton. He was the biggest local shareholder in two foreign-owned companies, and Chairmanof the Board of Directors at Barclays Bank Zambia Plc. He is also a trained Business Negotiator, a qualified Change Management Practitioner, and member of the Zambia Institute of Directors. With elections scheduled for 2016 Hichilema is campaigning on a strong economic platform, arguing Zambia needs a leader who understands business in order to unlock developmental benefits for the nation. But the business investors will not vote for him, its people from southerb Province ONLY who will vote for HH. Remember people from Muchinga, Luapula, Nothern, and Eastern provinces next year will apply the NEGA NEGA formular, i hope you know what that means. “Calculas” you primitive and backward buffoon. You are happy being Governed by people without vision. Why should you die of poverty simple because you detest fellow Zambians on the basis of tribe and yet have enough competency to positively change direction of this county. Your tribalism is a sin to God and a curse upon you. kambwili, chanda, mumbi, lungu and co do not have the grooming for such platforms I would advise they tap and count it a blessing that kachema is recognized and a goto to person for expert advise on how to run the our economy which is in the wrong hands. I think Zambians should cast aside ethnicity and usher in a competent regime with both moral and selfless attributes. So called mulena, do you remember Roy Mudenda and the infamous serial killer and robber Chilala? Which grouping did they hail from ? THE FACT IS PEOPLE HAVE LOST EMPLOYMENT IN ZAMBIA HAS NOTHING TO DO WITH HH BRINGING ANGLO HERE ……..DON’T JUSTIFY YOUR FOOLISHNESS AND FAILURES BY USING AN INDIVIDUAL VIEW OK I;LL ALSO BRING THE JAPANESES WHEN I CAME INTO POWER ……..BA PF YOU HAVE NO POINT ON THIS MATTER SOUGHT OUT YOUR MESS DON’T MAKE COMPARISONS . pF pf pf WHENEVER YOUR DO SOMETHING FOOLISH YOU COMPARE WITH OTHER COUNTRIES NEXT TIME MEAL MEAL PRICES WILL GO UP YOU WILL SAY EVEN THE AMERICANS HAVE INCREASED THE MEAL MEAL PRICE UBUKOPO AND FUN ENOUGH SOME PEOPLE UNDERSTANDS THIS MATRIX AND AGREE ONLY A FOOOLISH PERSON WILL AGREE TO THAT. All you unschooled bloggers please refer to Napapa Sana’s comment. Surely libange nshi mupepa? 4. or most likely all the above. @MAKWINGO, none of the accolades that you have attributed to HH have anything to do with ability to be President of Zambia or any country. That is a CV for a job or in business. Leadership of a country is God given basa. But HH’s ambition for state house has clouded his thinking and he has thrown his CV to the wind, opting to tell lies everyday as part of his new political CV. Look here, if HH has opted to tell lies, his CV counts for nothing now. HH is a liar and he has been exposed ! He wanted to cheat us on the copper belt and foolish ones were almost believing the propaganda nonsense.Its good the truth has come up. UPND are opportunists and want to take advantage of situations to cheat people.Now your lies have bounced and no one on the copper belt will ever believe your Anglo nonsense stories any more. Which lies? The only party that thrives on lying in Zambia is PF. None of your campaign promises have come true. Those lies will not keep you in power beyond 2016. Has HH been elected president for you to say that he lied over Anglo American talk? What kind of weird thinking is this. How can a country develop with people in PF thinking so poorly like this. MAKWINGO someone can be educated rich but still very primitive. I dont expect that person to be tribal,cheater,ki~, why do all these its simply primtivity. NB do not mix personal achievements with national. INTERPRETATION OF AGLO IS IF HH WON BY ELECTION ALL MINES IN ZAMBIA WOULD BEEN CLOSE AND MINES SOLD OFF ,ALL 85 000 MINERS FIRED. GOD SAVED US FROM THIS SELFISH D~ITS TRUE U ARE UNDER FIVE NOWARDER SATA DITCHED HIM AND OPTED FOR LUNGU WHAT A DIFFERENCE 4000 AND 85 000. Although i am a Kachema too,but the hypocritical behaviour by the senior most Kachema man never cease to amaze me.Does he think people on the C/B are too desperate and can not see his lies ? If HH was a shrewd politician like Lungu is or like Sata was, the best story he could have sold to miners is that he would look for more credible investors rather than mentioning names. What if Anglo had issued a contra statement to HH’s ambitions? Analyst, let’s forgive the man – he is an underfive, what else do you expect from an underfive? This ANGLO mining news has excited the PF thugs. Don’t talk about HH who is not in government. Talk about how you are going to alleviate the poverty of the majority of our people. What foolishness is this! Iwe Kambwali, sweet potato, there is no divide, this is happening all in RSA. Stop being stup!d, go on line and research then come back to this blog and type out something sensible! Many commodities are trading at the lowest levels they’ve seen since the Great Recession in 2008/2009 as seemingly insatiable demand from China has slowed. According to HH, all loses of jobs in the mines is because of poor policies by PF ECL lead government. HH has always been a vulture, he fattens himself at the death of others. His wealth came from commissions from the poorly done privatisation by Chiluba’s MMD which killed many. He then started fermenting ambitions to be president since he had actualised the dream of being a successful businessman and this he brought to fruition at the demise of Anderson Kambela Mazoka, supported by a serious tribal tag from the predominantly tribal leadership of the then UPND, killing the ambitions of Sakwiba Sikota. Ba PF please continue with your propaganda. It seems you have not learned from RB and the MMD how their propaganda through Chanda Chimba threw them out of Steak House! The more you portray HH as an enermy, the more you alianate your selves from the ordinary Zambians. If you have never heard of the HATE VOTE, keep your ears to the ground, pantu 2016, you shall cry louder than Bwezani. Keep it up Vuvuzelas. SO, ZAMBIANS STILL TRUST THE ANGLO-AMERICAN CONGLOMERATE? ZAMBIANS DON’T CEASE TO SURPRISE ME. WHAT WAS THE THE CONGLOMERATE THAT ABANDONED ZAMBIA WHEN ZAMBIA WAS IN NEED. ANGLO-AMERCA DO NOT SOLVE PEOPLES’ PROBLEMS. NEITHER DO THEY HELP IN SOLVING OTHER NATIONS’ ECONOMIC PROBLEMS. THEY INVEST IN A COUNTRY WHERE THERE ARE NO PROBLEMS AND WITHDRAW INVESTMENTS WHERE PROBLEMS START TO SHOW UP. ANGLO-AMERCA LIKE HH BECAUSE THEY KNOW THAT HH CAN EASILY SALE HIS COUNTRY FOR A SONG. HH AKAMISHO BWAMBA IF YOU ARE NOT CAREFUL YOU ZAMBIANS. EVEN A FUUL CAN GUESS THAT THEY WILL BUY OFF MANY MINES AND THEN ABANDON THEM AFTER FRUSTRATING CHINESE COMPANIES. STICK WITH CHINESE AND EUROPEAN COMPANIES IN THE MEAN TIME. AMERICA IS A NO GO AREA. I really do not understand the Logic or the argument behind this article. It really is a disappointment to see the people we consider as intellectuals leading the nation behave as if they have never been in a class. The caliber of our politicians and the level of political intellect in our beloved country leaves one wondering what system of Education we have. The real intellectuals in this country don’t even speak. I think they are quiet for some reason because if they have to speak, they will also appear as ignorant people.